Just when we are yet to finish the new MTN plan that offer MTN 4GB for N1000, 1GB for N200 and 250MB for N100. 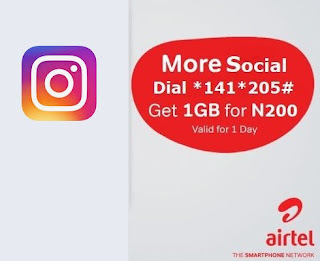 Airtel has introduced it own social plan for instagram. We all know Instagram to be data consuming. This is why they made Instagram bundle available at a cheap rate.